The novel started out with your usual confused teen, that had no clue what was happening to her. I’m a sucker for teen romance books, so when King revealed Emrys I was all for reading it further (got to love the gorgeous, mysterious and possibly dangerous guys you know the main character will end up with)! It surprised me that she made the character strong, as in better physical strength than all the male characters in the book. This brought so many twists and delightful turns that had me reading through it excitedly. Nothing like a girl kicking some good and bad guys’ asses to get you going! Plus the humor and sarcasm were practically dripping out of my Kindle. I get that keeping secrets and screwing around with the main character’s life is what makes the book interesting, but it also unnerves me as a reader. So my opinion is: next time, less secrets, more action. We totally deserve to get the insight on some awesome fighting scenes. Got to say, though, that the intense swearing didn’t do that much for me, it was kind of overdoing it at times… she swears, we get it, sheeesh! When Jordyn decided to flee at the end and never looked back, I totally agreed, seeing how I would have done the same in her situation. And love the whole power of teleportation thing!! What I wouldn’t give to have that =D Perfect timing, too! So I’m totally urging you to read this book, because boy-oh-boy will you love Jordyn’s angel-family, even Haniel (although sometimes I wished I could castrate the dude and he’s an Arch Angel! 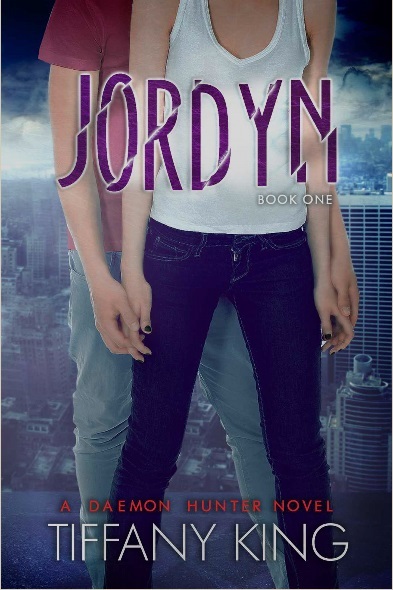 ), but most of all, Jordyn and Emrys (yuuum)! You won’t be able to go to sleep until you finish reading this book. They totally convinced me to read the next book which is Jordyn and the Caverns of Gloom – stay tuned to read the review on that one too!